Note to Ops: If you want to see Peter Roskam at a townhall you will have to first get a job -- a job on the editorial board of Chicago's leading business publication. 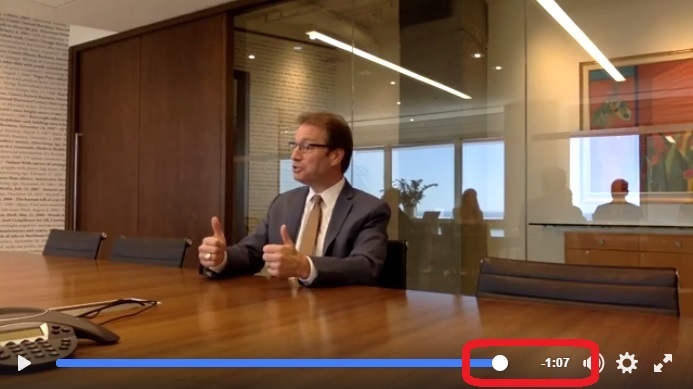 Roskam, Lake County's vestigial Congressman, sat down with Crain's Chicago Business last week for a one hour interview. In the video, Roskam confirms that legislating is indeed like making sausages -- he wanted to get out of there in the wurst way. Crain's: Thank you for coming by. Peter Roskam subsequently disappeared faster than the Republican Liberty Caucus prescription Rogaine at the US Capitol drugstore. It is not known if Roskam exited by way of the back alley.